Split Primary Color Wheel 101 Get a handle on COLOR once and for all. Want to make your own. 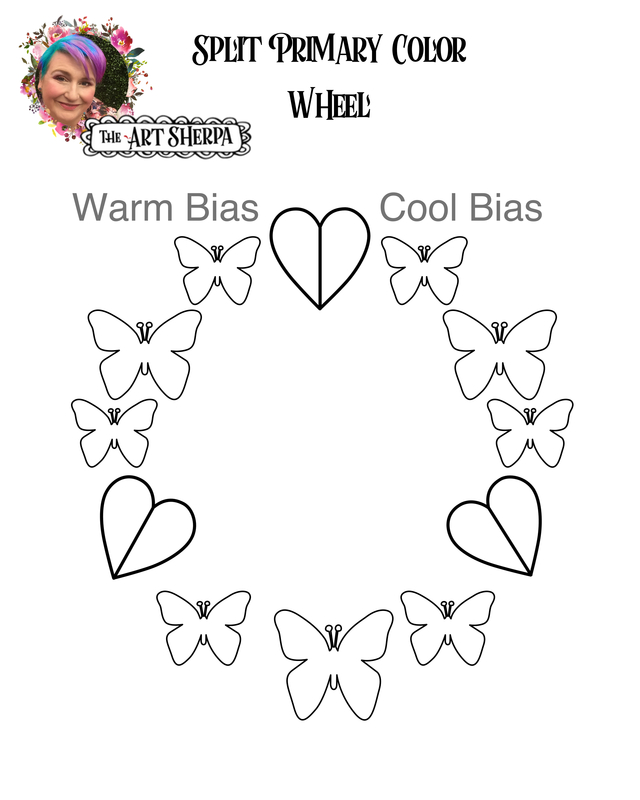 Print out our Free Color Wheel PDF. See how if you get a secret primary going that colors get neutral? Warm colors pull forward and cool colors recede in art.